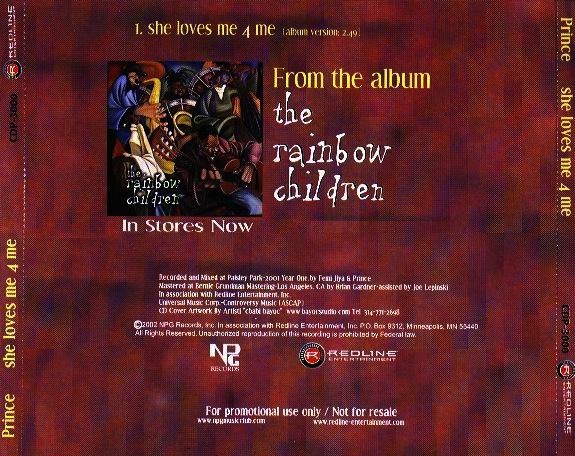 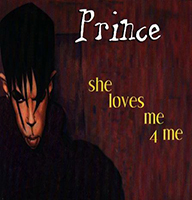 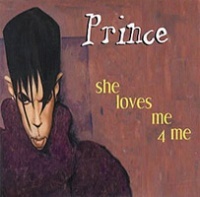 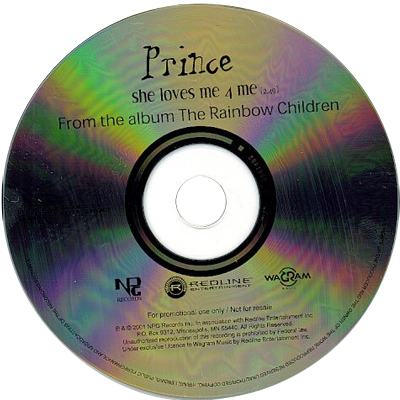 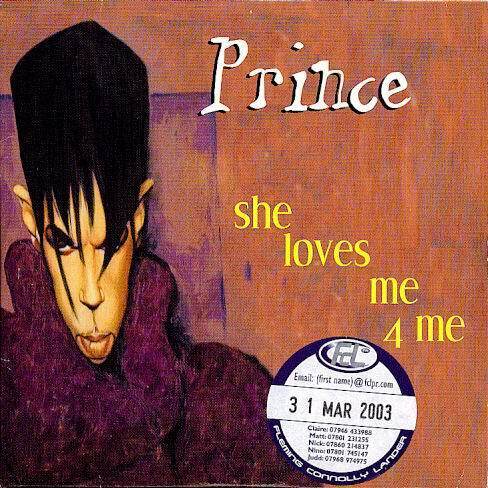 She Loves Me 4 Me was a promo single from Prince's 24th album The Rainbow Children, available around the same time as the album, following the album's only commercial single, The Work Part 1. 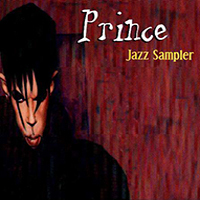 In the USA, a "jazz sampler" CD was also available, containing four tracks from the album; since She Loves Me 4 Me was the first track on the sampler and the single contains the same artwork, it is included in this entry, although the cover only uses the words "Jazz Sampler". No 7" was issued for this record. 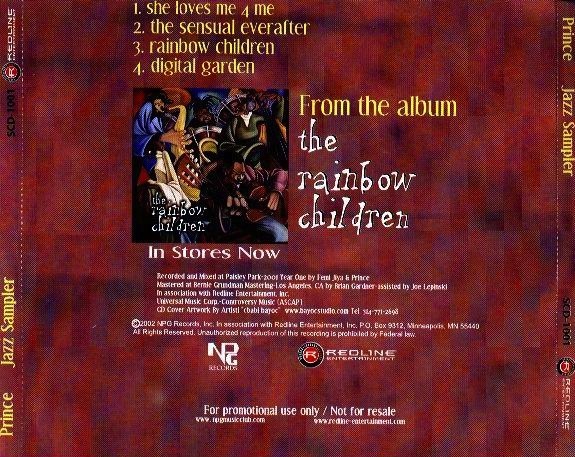 No 12" was issued for this record. 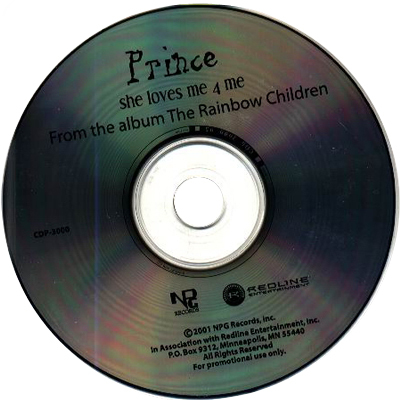 This record has not been released in another format. 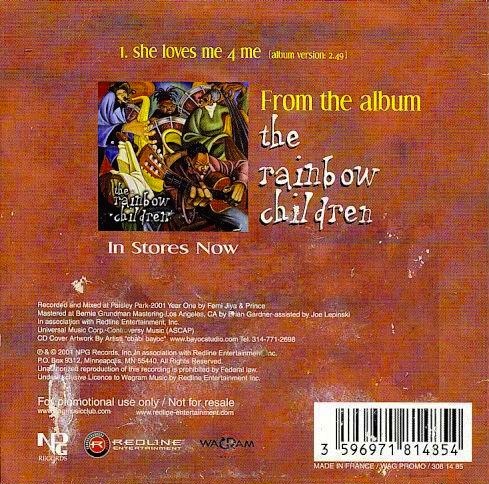 She Loves Me 4 Me was offered as a free download on www.rainbowchildren.com around the same time as the promo single was available. 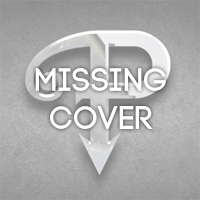 This page was last modified on 18 September 2015, at 11:29.